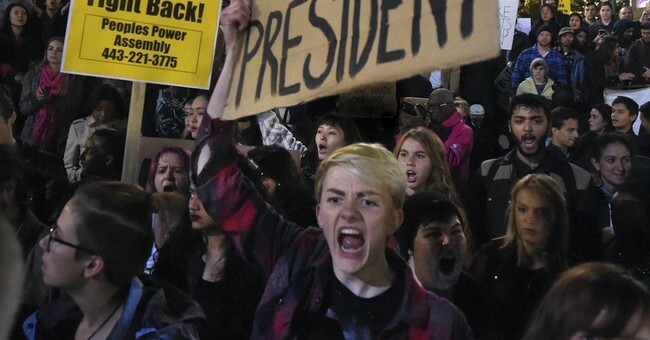 California was horrified over President Donald J. Trump’s win over Hillary Clinton. They even threatened to secede from the country. It’s the ultimate snowflake meltdown. The most populous (and solid Democratic) state couldn’t get Clinton elected, so they want to leave. At the same time, it serves as another reminder as to why the Electoral College serves as a necessary function in our elections. It prevents cities and the coasts from dominating our politics. The Yes California Independence Campaign has been around for at least two years, but the election of President Trump only saw increased momentum for the so-called Calexit cause. Trump lost California by more than 4 million votes, fueling interest in a Calexit — a play on the United Kingdom's "Brexit" campaign that saw that country's voters decide to leave the European Union. If the 2018 ballot initiative passes, it would force a 2019 statewide special election asking voters if they want California to become an independent country. While it wouldn’t pain me to see a huge block of liberal voters just go away, this isn’t going to happen. The California constitution is quite clear that two-thirds of Congress and three-fourths of the states need to sign off before the state can legally separate from the union. With the Congress in Republican hands and 69/99 state legislatures also GOP-controlled, this isn’t going to happen. Republicans, in their minds—probably wouldn’t mind the largest bloc of Democratic electoral votes and their obnoxious voters leaving, but we’re one nation of 50 states and it will remain that way, regardless of who wins our presidential elections. As Trump has shown the GOP, there are ways to scale the Blue Wall and win.